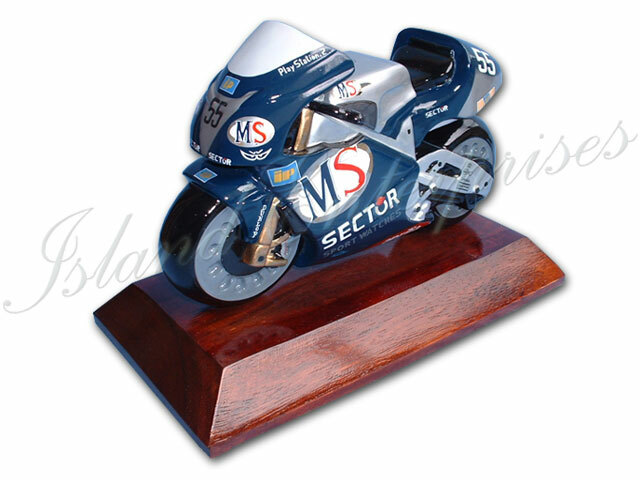 Want to surprise a friend or loved one, with a hand carved hand painted wood replica of their favorite Motorcycle? The customers were shocked at the detail and accuracy of the bikes. We can manufacture any bike in any size you desire...Just send us the photos. Additionally we can customize the base any way you like, with any carved and painted logos or text. AND REMEMBER!!! We offer a 100% money back guarantee if you are not convinced you have bought the most accurate, and highly detailed product available on the market!! !